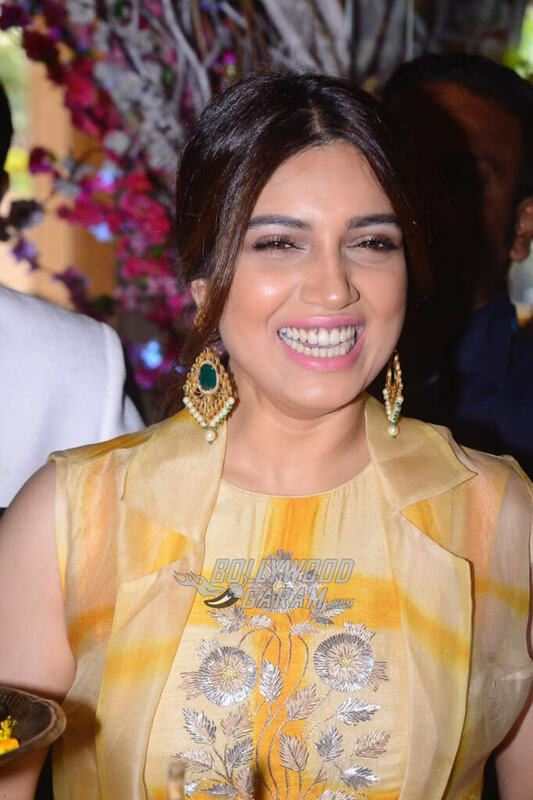 Only three films old, actress Bhumi Pednekar has created quite the stir in the industry with the choice of her roles and powerful prominent performance with which she has taken on social issues like open defecation, sanitation, arranged marriages and erectile dysfunction. In all her movies, she has shown herself to be a strong and opinionated woman. 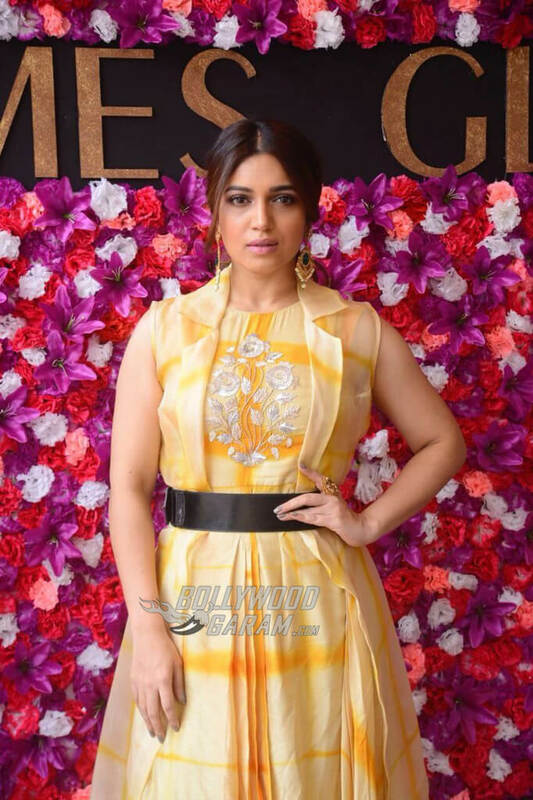 She graced the Times Glitter event on October 6, 2017 and was snapped at the wedding exhibition in a yellow and white sleeveless floor-length gown with floral motifs on the torso. 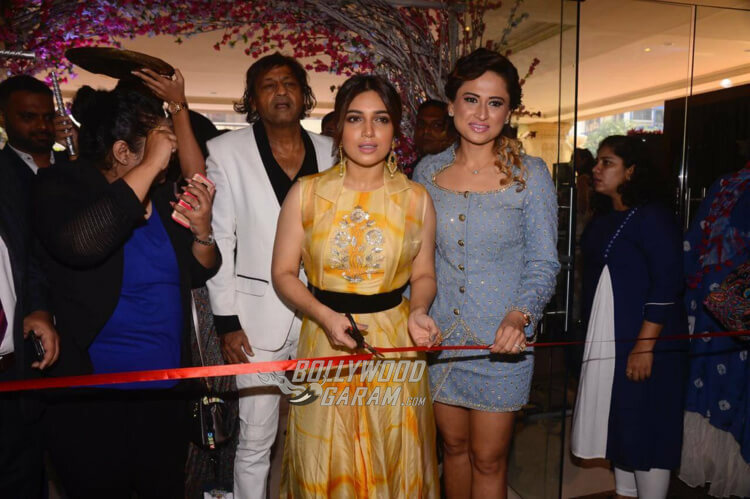 Bhumi looked elegant in the gown that she teamed up with a black belt at the waist and sparkling danglers. She completed the look with pink lips and her hair tied in a low pony tail. 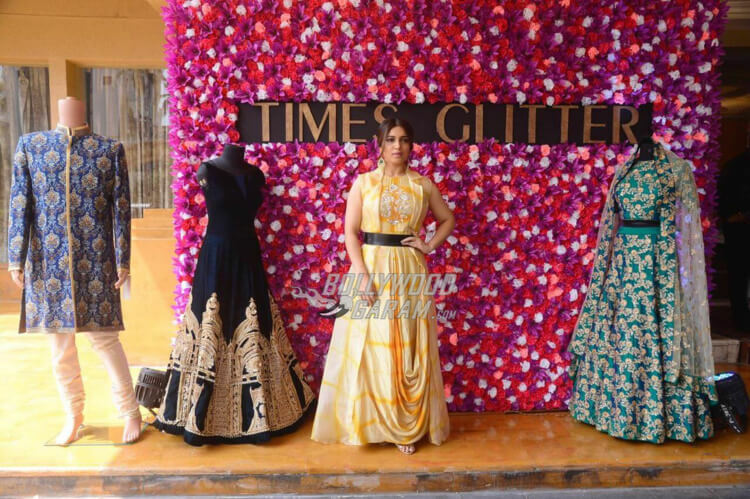 Bhumi posed for the shutterbugs and marked a great entrance when she unveiled the latest pre-wedding and pre-festival Glitter 2017 collection at the Times event. She further interacted with the media and actively made her way at the exhibition speaking to the people at different kiosks who exhibited fashion jewelry. 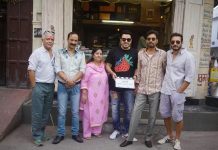 The actress who prefers “content-driven films” where she has an “equal role to play as much as her male counterparts” witnessed a massive success with her big release opposite Akshay Kumar – Toilet: Ek Prem Katha, soon after which director R S Prasanna was reportedly all praises for her and her co-star, Ayushmaan Khurana who he said were “a delight to work with.” Prasanna directed Shubh Mangal Savdhaan where Bhumi and Ayushmaan were shown as a recently engaged couple struggling with how the society deals with performance anxiety and erectile dysfunction issues, thereby hinting at the orthodox views and patriarchal notions of the society. 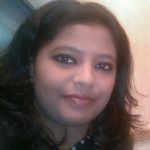 She will next be seen in Chambal helmed by Abhishek Chaubey. Exclusive photos of the Shubh Mangal Savdhaan actress at the Times Glitter Event!